This post was sponsored by author T. A. Barron, inspired by his many magical books for readers of all ages. T.A. Barron's works, including his latest book, Atlantis Lost — the third book in his Atlantis Saga — are available now wherever books are sold. When I was a teenager, my favorite thing to do at Christmas time was to scour the Christian book catalog that came in the mail. I would circle all of the books that interested me and hope that a few made it under the tree for me. Even though he wasn't a strong reader, my dad had cultivated a love of reading in my life by encouraging me to read in creative ways. He had the art of book giving which I'm working on passing on to my own children. 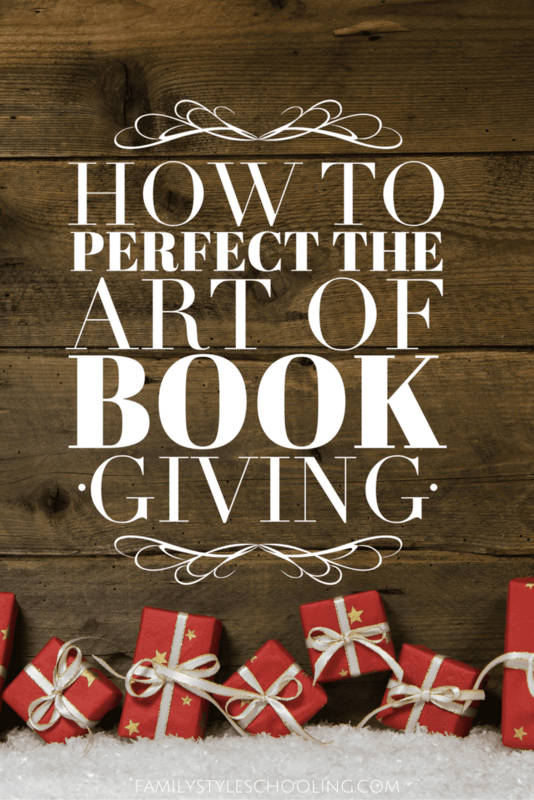 Even though there are millions of options, book giving can be much more challenging to pull off successfully than giving something easy like a gift card or cash. When done right, the recipient of your book gift will not only be thrilled to have a great book to read, but also feel known and loved by your thoughtful gift. Just as a good writer will only successfully communicate their message if they know how to speak clearly to those who will read their work, you must know your audience. What kinds of books do they love? What interests them? It's not enough to just give them a book that you love, because they might not receive it with the same eagerness that you did. This might take some stealth investigation on your part. You might just have to have a conversation about what books they're currently reading. When you find out what they love to read, you'll have a better idea of what they'll love to receive. What genre do they love? Is there another series similar to one they love? Who is their favorite author? Do they have any new books? What publisher do they enjoy? Is there a similar author that is published there as well? I love going to Amazon.com and looking up a book I love and then looking in the "Customers Who Bought This Item Also Bought" section. That has led me to some great recommendations for new reads. Write a note in the front to inspire them to read it. Give a stuffed animal that coordinates with the book. Give them your personal marked copy (note: not everyone will appreciate this, especially if your handwriting isn't neat! Refer back to "know your audience"). Include the audio version of the book in your gift. When you give a book, you're not just giving a simple gift. You're opening doors to literacy, travel, adventure, and further education. If you've been unsuccessful in the past, maybe you just need to perfect the art of giving a great book. Books make a great gift especially if the giver knows what you like! These suggestions are great and helpful in making good choices! Thanks! !